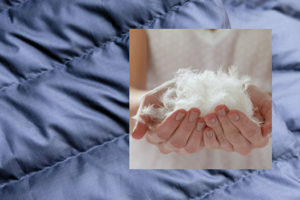 Pato Rico offers to Fashion Designers and manufacturers textile industry the possibility to ally to their creations the best quality down feather filling, bringing them an extraordinary comfort. The items are made according to each project needs and follow the highest quality and comfort patterns. The Pato Rico products have the NOMITE certification and are subjected to a special treatment against the growth of mites, fungus and bacteria, preventing from breathing and allergy problems.